Hire dedicated business analysts from Let’s Nurture who are undisputed experts in strategic consultation, technical specifications and implementation through various phases of project development cycle. Let’s Nurture is the best ISO 9001:2015 certified IT company with 10+ years of experience in providing offshore mobile app development and website development services. Hire dedicated business analysts at the most affordable prices for range of services. Be it planning, procurement, deployments, management and retirement of Software Assets of the company, making of an Clickable wireframes and developing a Software Requirement Specification (SRS) document to layout functional and nonfunctional requirements. Pioneering in IT warfare since 2008, Let’s Nurture is a leading web and mobile applications (Android, iOS & Cross-platform) development company in India having offices in USA, Canada, UK, Singapore, and Australia. Our flexible engagement models to hire dedicated business analysts (BA) experts is designed to meet varied business models and requirements precisely. Our engagement models are designed to suit various business demands. 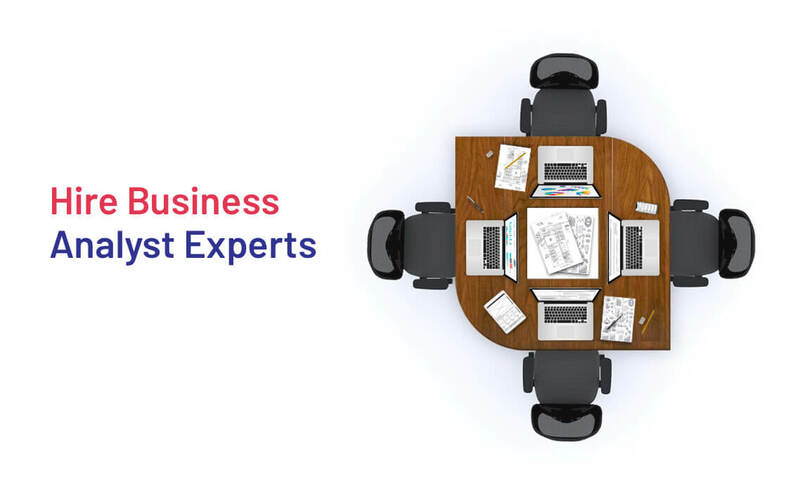 Moreover, our experts BA professionals have unmatched experience in analysing different business requirements in order to develop a personalized Request for Proposal (RFP) presenting specific business objectives. Our flexible engagement models to hire dedicated BA experts compliment and perfectly serves the overall purpose of providing best-in-class customer services. Let’s Nurture also offers staff augmentation services which allows our clients much needed flexibility to have the overall control over professional IT Business Analyst (BA) team given the project requirements. It also allows us to communicate and deliver the end-to-end BA services in the best way possible. Onsite staffing services for dedicated BA experts to clients and companies within the same geographical border to fill gaps in development cycle by frequent onsite visits or full-time presence at your place. We offer Business Analyst (BA) staffing services in countries like US, Canada, India, Singapore and Middle East for regular review meetings, system deployment or ongoing IT project development. Hire and employ BA experts to bring them at our offshore development center (ODC). We have client-oriented process in which our project managers will keep you in loop in all communication channels with timely reporting. Because of their range of expertise and responsibilities, there is a sense of growing demand to hire dedicated business analysts across diverse industries. BA experts are responsible for comprehensive analysis of a business, documentation process, strategic client consultation for monetization strategies with technical features and implementation of them leveraging agile development cycle. Our expert team of IT business analysts help deliver sketches and wireframes. This is done to ensure that our web and mobile design experts will make functional prototypes. These wireframes are sent to the client to get the approval before moving on. Our expert IT business analyst consultants will ensure that the designs provided by design team are seamless and intuitive in nature. We are experts in giving the best User experience from the implemented designs to deliver the best feel while using the web and mobile apps. Our business analysts experts are the best possible liaisons between the clients and developers. They make sure that developers have all required information. They work hand-in-hand with clients for clarification in order to ensure timely deployment of solution. Keeping specifications updated, BA team is responsible for implementing enhancements to existing systems and Issue resolution, plan and execute releases for both. Ensure the quality checks and procedures are defined and conducted according to the agreement with client. Our BA experts will research and make recommendations to be adopted in organization to identify areas that needs an upgrade. Through comprehensive technology audit and gap analysis, we increase efficiency of existing process and help our clients to reach their desired goals. Our BA experts prepare development plan with clients approval to match their required business timelines. During development, they monitor daily progress made with the help of predefined monitoring matrix with project execution monitoring policies and procedures in the place. Depending on client requirements and nature of project, BA team conduct business process and requirements analysis. This helps in RFP development and documenting a final SRS for complex and high ticket projects having multiple technology and features. Define project Implementation methodology such as Agile, Standards and templates for managing project scope, examine impact of project to organisation's functional areas and associated policies and procedures, coordinate with stakeholders on seamless implementation of project schedule. Our IT business analysts interact with domestic and foreign clients, to draw out clients requirements, categorise each requirement appropriately so they can be implemented in the most efficient and optimal manner. Conduct client interviews as and when required to get the information before documenting them. Why choose Let’s Nurture to Hire Dedicated Business Analysts? Any business analyst that one may choose must have three traits: innovator, technically sound and commercially minded person oozing with confidence. One who can bring innovative and technical solutions with strong monetization strategies to bring the commercial focus into the core. The experience of our business analysis team will give you all that you need for the growth of your business. Below are our value propositions, please have a look. Our business analysts have abundant experience in working latest trends in technologies and frameworks while keeping themselves updated to deliver custom web & mobile solutions. Our BA experts provide FREE consultation to understand and deliver thoughts before development cycle starts. This is to ensure to deliver right app solutions as per client needs. No business analyst would be assigned without your prior approval. Our flexible engagement models will result in new apps developed in less time with quick team scaling. We adhere to strict NC/ NDAs for all client projects. Our systems are enabled with advanced security parameters with CCTV surveillance to secure information of your project. Gain a strategic advantage with innovative features and monetization strategies for swift ROI through your flawless website or mobile app? What steps I should follow to Hire Business Analysts from you? We first review the project scope and domain, to determine the best fit team member. We shortlist 2/3 resources, and schedule an interview with you. To the selected team member(s), you can dictate the project onboarding processTo the selected team member(s), you can dictate the project onboarding process. We then require lead time of 72-96 Hours to make team member available for redeployment to your project. Would I have the complete control if I hire Business Analysts team? Our flexible engagement models to hire business analysts will give you complete authority over the project development cycle as well as reporting. You will be given regular updates to make decision with utmost transparency and coordination of our Project Managers along with development team will be there whenever you want. Our engagement models can suit businesses of any kind, ranging from startups to enterprises. What if I am not satisfied with the dedicated Business Analyst performance? Will you replace? What is way to monitor and communicate the development of project with Business Analysts hired? What is the minimum experience of your business analyst? Hire dedicated Business Analysts who have average experience of 3 years in working in our business analysts team. They have also experience in working for diverse industries solutions leveraging web, Android, iOS and cross platform app development projects. What if we only want to hire a BA for making an SRS (Software requirement specification)/BRS (Business requirement specification document) of my requirement? Of course you can hire our business analysts team to prepare a professional SRS/BRS and Effort Estimation (EE) document with feature listings, technology stack, queries and add-on suggestions. We will be in continuous touch with our clients to know about the business requirements to finish the tasks with quick turnaround time. What all technical expertise your BA resources have?